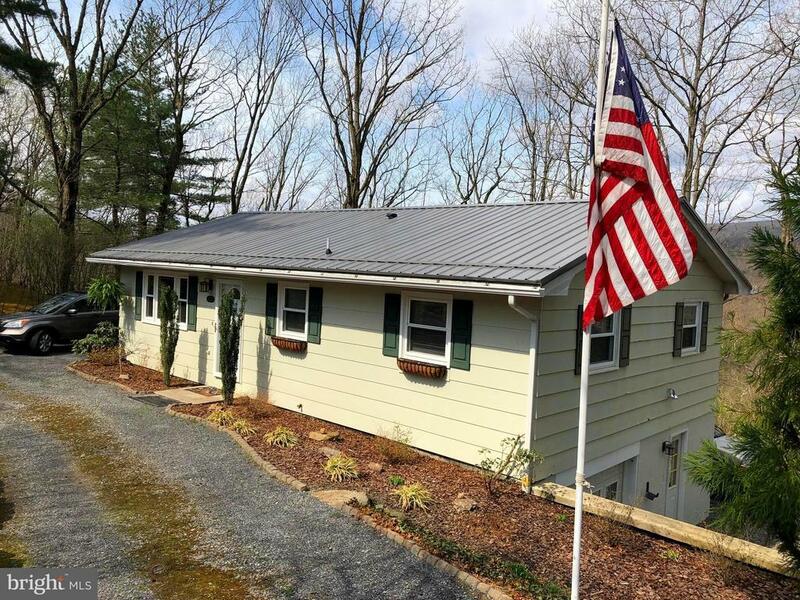 Turn-key 3 BR 2 full Bath rancher just outside city limits. Updated kitchen with new countertop and flooring and direct access out to the deck. The deck is a great spot to sit and enjoy a variety of birds and mountain views. Hardwood floors throughout main level. Finished lower level includes a apacious family room, full bath and a large and bright laundry room with plenty of storage. Integral garage. Metal roof is BRAND NEW- put on March 2019. Windows and exterior doors approx 4 years new. All appliances included. This well maintained home shows pride of ownership and is move-in ready! Directions: At the Nave's Crossroads plaza turn onto Highland Estates Drive and continue all the way up the hill, home on left.